Led by Artistic Director Eric Rose and General Manager Kate Stadel, GRT is an award winning devised theatre company that creates, develops and mounts original productions through a significant investment in imaginative research and development. We make our work in a rigorous, supportive collaborative-creation environment that recognizes and utilizes the unique abilities of all participants, premiering our work in Calgary and then touring it nationally and internationally. Our work embraces a hybrid of high tech visual spectacle with low-fi theatrical magic. Over our 26 year history, our unique creation process has yielded an impressive roster of critically acclaimed productions: Mesa, Eye for an Eye, ONE, The Highest Step in the World, The Last Voyage of Donald Crowhurst, Tomorrow’s Child amongst many others. GRT has created and toured some of the most thoughtful, daring, imaginative, and seemingly impossible work that this country has produced. With a keen desire to create, to engage and to push the boundaries of live performance GRT has established itself firmly as a leader in the Calgary, Alberta, and national cultural ecologies. As a cultural leader, Ghost River Theatre in February 2014 joined together with Calgary Young People’s Theatre and Green Fools Physical Theatre to create and run The West Village Theatre an 80-seat black box performance and administrative space located in the Sunalta area of Calgary. On our first day as Co-artistic directors of Ghost River Theatre David van Belle and I headed out to the source for inspiration--the actual Ghost River itself. We spent the afternoon walking along its stony shores and talking about what we wanted Ghost River Theatre’s principles to be. Not just aesthetically, but in human terms. ‘Values’ would be the word for it. This is what we arrived at. This value statement was adopted as an official Ghost River Theatre document in April 2009. In 2015, Rose became sole AD after van Belle relocated to Edmonton to pursue playwriting full time. However, the values we devised still form the undercarriage of GRT’s endeavours to this day. Please have a look, and let me know what you think. We are a performance creation company. We make new work. Performance is a human endeavour. Every member of the GRT team – artists, administrators, patrons – is a co-creator invaluable to bringing our projects to life. · Collaboration is both process and purpose. Devised material can only arise out of a commingling of minds. Accordingly, a plurality of perspectives is integral: The more diverse the ensemble, the more rich and reflective the output. Safe and equitable working conditions. Every person who engages with GRT in any way has a right to a safe and equitable environment that is free from any form of harassment. We are Allies. We stand with Survivors. We have a zero tolerance policy on any form of harassment. Truth. In creation we ask the question ‘what do we really think’ about the topic at hand. We challenge each other to stay sharp, to tell the truth as we find it rather than the easy answer. We stay in dialogue with other artists inside and outside the company and check in with each other. We really want to hear about the work, particularly from those whose aesthetics we admire and trust. Practice is evolving, pliable, and additive. We are experimenters. Theatre is a laboratory. Process is reflexive. Plans are changeable and adaptable. Boundaries between disciplines are permeable. Roles are not rigidly enforced. Disciplines are put in dialogue with one another to inform and inflect one another as early and as profoundly as possible. Storytelling is inherent to every aspect of creation and presentation. Lights, props, images, projection, movement, programs, lobby displays, etc., are all potentially narrative elements. Audience engagement. Audiences must be engaged in order for the production to be successful. There are many ways to engage an audience—laughter, shock, surprise, disgust, empathy, intellectual and experiential engagement. The reveal. Everything in live performance is a kind of reveal, physically, psychologically, action, plot, light, sound etc. Asking the questions: What happens next? What will this person or thing do? Surprise is a crucial tool for audience engagement. Making space for the audience in performance.—the audience’s interaction with performance must be broadened beyond a ‘keyhole’ model where they merely looks in at the action taking place. Environment is vital here. We acknowledge and invite our audience into the creative act. Highly theatrical’ performance. We use the broad range of the tools of our craft in order to engage our audience. We must do the things that television and film are incapable of doing in order to keep the art of the live theatre vibrant. The riff, or creative jamming. Space must be made within the rehearsal process for artists to bounce ideas around, try things, follow creative impulses, and make discoveries, to fail and to not know. The rehearsal process can’t be 100% planned. Relaxed rigor. In our work these two concepts, relaxation and rigor, dance with each other, remain in balance with each other. Relaxation in rehearsal allows new ideas to flow, relaxation in performance allows the audience to engage and participate. Rigor shapes these ideas. Rigor allows the audience to understand clearly. Strongest ideas move forward. It doesn’t matter where an idea comes from, only that it’s the strongest one —beyond ego. Mindfully designing the creative process. The creative process is crucial to the making of new, unique and impactful theatre. It should be mindfully engineered to bring maximum creativity; it should shape a place where good ideas come forth and are heard. Going to theatre should be a spiritual experience. In a church, people gather together for a shared experience. We do the same in the theatre. Ideally, they should go away changed somehow. This changing goes beyond empirical or intellectual knowledge. It has to do with experiential learning. GRT values the daring, the illuminative, and the surprising. Our work often examines exceptional individuals in extraordinary circumstances; subjects whose volatile relationship with ambition mirrors our own obsession with wrestling with the impossible; constantly reframing and rediscovering what theatre is and is capable of. We are committed to expanding the language of theatre; to creating contemporary mythologies based on stories that reflect our experience of the world. Ghost River Theatre is a nationally acclaimed theatre company based in Calgary with a more than 20-year history of daring performance creation. The company began as an ad-hoc group in 1992 with a performance of Lester’s Hat at One Yellow Rabbit’s High Performance Rodeo and became an incorporated company in 1999. Under the visionary leadership of its founder Doug Curtis, Ghost River quickly established itself as a social and political provocateur, creating boundary-defying performance theatre in Canada. Seminal shows like The Carrot Warrior, Mesa and An Eye for an Eye brought issues of local and national importance to the stage while garnering critical acclaim to the company; opening up both national and international touring opportunities. When Doug stepped back from the company due to health issues in 2007, incoming Artistic Director Jason Rothery transitioned the company into a new model to lead the company into a sustainable future while continuing to present and create vital new Canadian works. In 2009, David van Belle and Eric Rose were appointed as Co-Artistic Directors with a mandate to reinvigorate the organization and establish a clear artistic and administrative structure. Van Belle and Rose’s vision of imaginative storytelling, provocative and challenging creation processes and a focus on strategic planning and administrative excellence would propel GRT beyond its founder. Under their leadership, the company has embraced and reinterpreted Ghost River’s mandate for highly theatrical creation through such works as The Last Voyage of Donald Crowhurst, ONE, Tomorrow’s Child and The Highest Step in the World. In 2015, Rose became the sole Artistic Director of GRT after van Belle stepped-down as Co-Artistic Director to move to Edmonton with his family and pursue playwriting full time. Now in his 10th Season with Ghost River, Rose’s work continues to expand the intellectual, physical and spiritual imagination of devised performance by creating contemporary mythologies based on stories that reflect our experience of the world. Winning 3 Betty Mitchell Awards for Outstanding Production of a Play for The Highest Step in the World (2010), ONE (2011) and The Last Voyage of Donald Crowhurst (2015). Receiving the Canadian Institute for Theatre Technology’s Award of Merit for The Highest Step in the World (2012). Snezana Pesic’s design work for ONE (2011) was selected to represent Canada at the 2015 Prague Quadrennial. Patrick Du Wors design for Last Voyage of Donald Crowhurst selected to represent Canada at the 2017 World Stage Design Expo and Competition in Taipei, Taiwan. These kinds of accomplishments and accolades received by Ghost River Theatre are recognition of a deep ongoing commitment for achieving the highest in artistic excellence. Eric Rose is an award winning director, creator, deviser and educator. His passion for the creative process has inspired the diversity of his theatrical experience spanning: large scale contemporary and classical theatre, site-specific and immersive performance, performance creation, devising theatre, new play development, physical theatre and dance. Eric has been honoured to be the Playwright in Residence at Alberta Theatre Projects, to be named to Avenue Magazine’s Top 40 Under 40 and to have received the Lieutenant Governor of Alberta Artist Award for his body of work as a theatrical innovator. Recent GRT credits include: concept/direction/co-creation Intuition Project, SCENT BAR, TOUCH, and TASTE as part of GRT’s Six Senses Series; directing/co-writing The Last Voyage of Donald Crowhurst, (Betty Mitchell Award for Outstanding Production, Direction, New Play and shortlisted for the Gwen Pharis Ringwood Prize in Playwriting); adapting/directing Ray Bradbury’s short story Tomorrow’s Child as a deep listening experience for a blindfolded audience (Betty Nomination Outstanding Sound Design and New Play), directing/dramaturging Jason Carnew’s ONE (Betty Mitchell Award for Outstanding Production, Nomination for Outstanding Direction and the Canadian Stage Award for Direction at the SummerWorks Festival), directing/co-writing The Highest Step in the World (Betty Mitchell Award for Outstanding Production, shortlisted for the Gwen Pharis Ringwood Prize in Playwriting and the 2012 recipient of the CITT Award for Technical Merit). Additional credits include: directing a lab workshop of Troilus & Cressida for Stratford Festival; directing/co-creating A Date With The Night for The Globe Theatre; directing/dramaturging a new version of Hannah Moscovitch’s The Huron Bride for Vertigo Theatre; directing the Canadian premiere of The Kite Runner for Theatre Calgary/Citadel Theatre; directing/co-writing Once Upon an Atom Bomb with Jennie Esdale and David Rhymer for the Green Fools Physical Theatre; directing/co-writing Peril in Paris with Ethan Cole (Betty Mitchell Award for Outstanding New Play), a new musical for Lunchbox Theatre; directing/dramaturging The Forbidden Sacrifice for the Kathy Knowles Theatre Company in Ghana. As an educator, Eric has taught for: Globe Theatre Regina, UnderCurrents Festival Ottawa, One Trunk in Winnipeg, University of Toronto, Theatre Calgary, Charlottetown Festival, Tarragon Theatre, NextFest, Mount Royal University, Red Deer and Sheridan College, University of Calgary, University of Lethbridge, Theatre Ontario, Artstrek and many others. Up-Coming: Eric is directing/co-writing GIANT about wrestler Andre the Giant with David van Belle for GRT which will premiere in Calgary this March at the Festival of Animated Objects. Jeremy is a playwright, director, and arts administrator with over 50 producing credits. After spending six years as part of the leadership team at New West Theatre in Lethbridge, Alberta he has relocated to Calgary where he’s been active as a freelance artist and producer. After spending time in the 2017-18 season as Interim General Manager, he is happy to working again with GRT as Producer. Jeremy has served on the boards of Theatre Alberta, the Alberta Playwrights’ Network and is currently the Southern Alberta Rep for the Playwrights’ Guild of Canada’s National Council. Laura has always been fascinated with images: how they work, how they are captured and composed, and how people react to them. This fascination led her to work with visual arts. She is an artist working with animation, digital arts and design. She conducts her work with an attention to detail and focus on the process of image making and visual composition. She explores many different animation and projection techniques, ranging from traditional animation styles to live interactive video. Throughout her practice, she has maintained an interest in how technology and arts can work together. This curiosity and enthusiasm has led her to do many projects, that explore the influence of technology and media on our daily lives, our bodies and recently she is questioning their impact on physical and geographical borders. Born in Amsterdam and raised all over Canada, David van Belle is a Calgary-based director, actor, playwright and theatre deviser. He has spent time as Co-Artistic Director of Ghost River (2009-2015) ensemble member of One Yellow Rabbit (2001-2007) and playwright-in-residence at Alberta Theatre Projects (2008-2010, 2014-2015). He recently premiered The Last Voyage of Donald Crowhurst, created with Eric Rose at Alberta Theatre Projects. Other works include The Highest Step in the World and Reverie (co-created with Eric Rose), Tomorrow’s Child (co-created with Matthew Waddell and Eric Rose) Everything Is Terribly Nice Here and Liberation Days, which premiered at Theatre Calgary in 2014. David has also created such works as BUZZ JOB! The True Story of Cal Cavendish with Kris Demeanor and The Invisible Project during a month-long residency at Calgary’s largest homeless shelter. In 2014 David created a new show, Of Fighting Age, with Verb Theatre for the High Performance Rodeo, and taught devised creation at the University of Alberta. He is the recipient of the Lieutenant Governor of Alberta Arts Award (as part of the One Yellow Rabbit ensemble) and numerous other awards and citations. Matthew Waddell is an audiovisual artist, multimedia programmer and educator. Matthew has been involved with digital arts for the last ten years and programs his own audiovisual performance software which has been used in Theatre, Dance, New Media, Music creation and recently Architectural Building Projection. 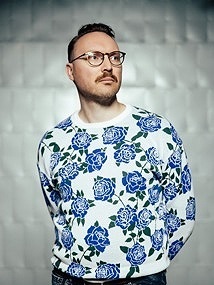 As a musician he has performed in a number of festivals including Mutek, Suoni per il Popolo and Le Festival des Musiques de Creation deJonquiere. He has attended residencies at the Banff Centre and the Society for Arts and Technology in Montreal and presented New Media work in Quebec and France. Matthew is an instructor and coach in the production department at the National Theatre School of Canada. Matthew has received two Betty Mitchell Awards: Outstanding Projection Design, (The Last Voyage of Donald Crowhurst, 2015) and Outstanding Sound Design (ONE, 2011) and a Calgary Critics Award for Best Technical Design (Tomorrow’s Child, 2014).